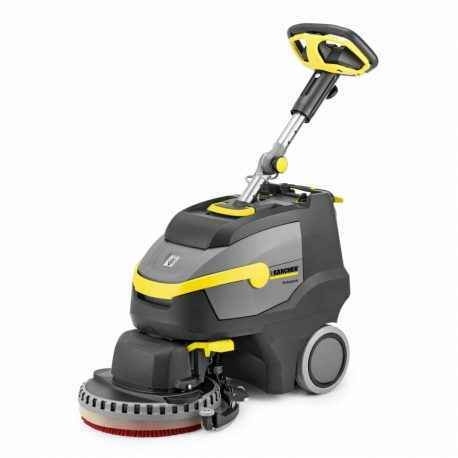 Highly manoeuvrable, user-friendly and easy-to-maintain, the BD 38/12 C scrubber dryer is a highly professional and efficient tool for cleaning small areas and cluttered surfaces. 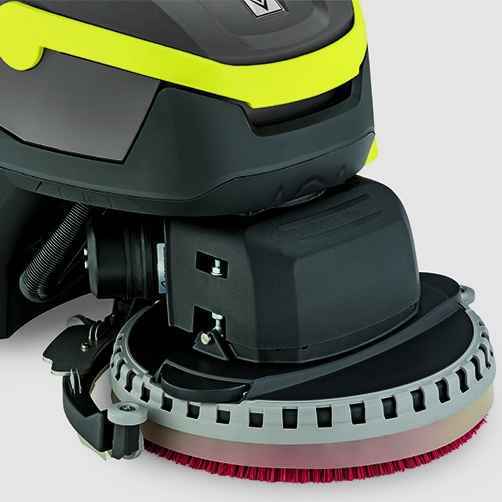 The machine is equipped with a disc brush 38 cm in diameter. The new lithium-ion battery has a prolonged run time, making it three times more durable than conventional lead batteries. It is completely maintenance-free and quick to recharge. 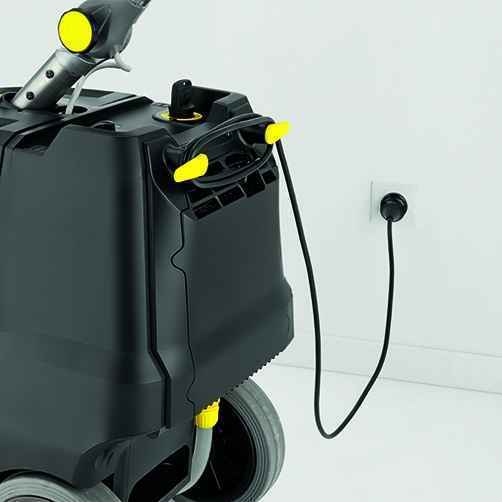 The eco!efficiency mode reduces energy consumption, increases the run time and lowers the noise level by around 40%. The BD 38/12 C, which is 35% lighter than the other machines in this unit class, helps you to negotiate steps and facilitates transport. Very good cleaning effect on smooth floor coverings. Suitable for use with brushes and pads. Brush included in scope of delivery. Quick charging (full in three hours, half full in one hour). Interim or partial charging is also possible where necessary. Suction Bar directly behind the brush. Handlebar height-adjustable for different operator sizes.